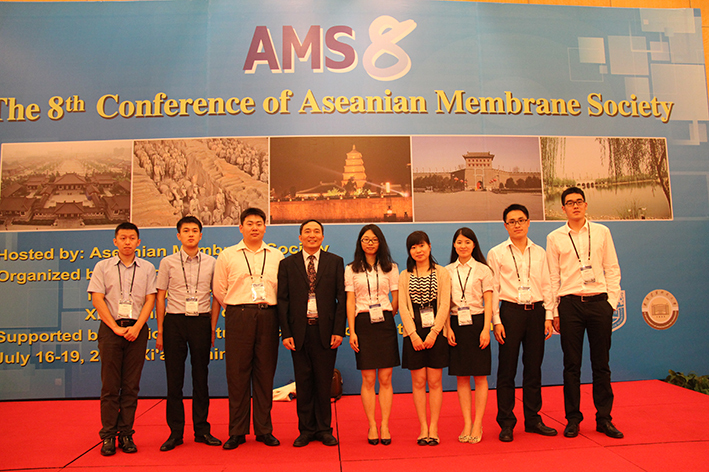 From July 16th to 21st, 2012, our research group represented by Professor Wanqin Jin participated in the 8th Conference of Aseanian Membrane Society. 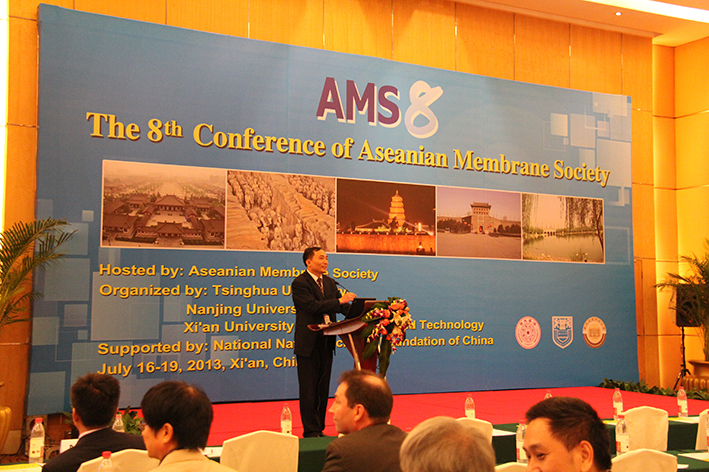 During the conference, as the chairman of the preparatory committee, Professor Jin introduced the preparatory work of ICOM (International Congress On Membrane and membrane processes) in the final sitting and sincerely invited scholars and intellectuals in this area to participate in ICOM 2014 which will be held in Suzhou. In our research group, young teacher Jiang Hong, doctoral candidates Zhengkun Liu, Gongping Li, Lie Meng, Sainan Liu, and graduates Kang Huang, Yueyun Lou, Ziye Dong, based on their research, reported their work orally or by means of poster respectively. 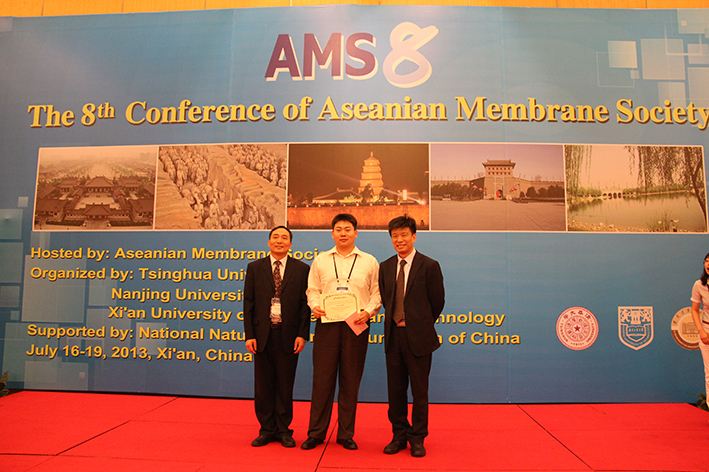 Doctoral candidate Zhengkun Liu won the prize of best poster.